In my last post I told the tale of the Inca Trail, the 43 kilometre hike that took us from Ollantaytambo to Machu Picchu. It left off on a sour note, as the mighty ruins had not appeared from the ever-present cloud, and this had left our group irritable and tired after the hard slog up there. 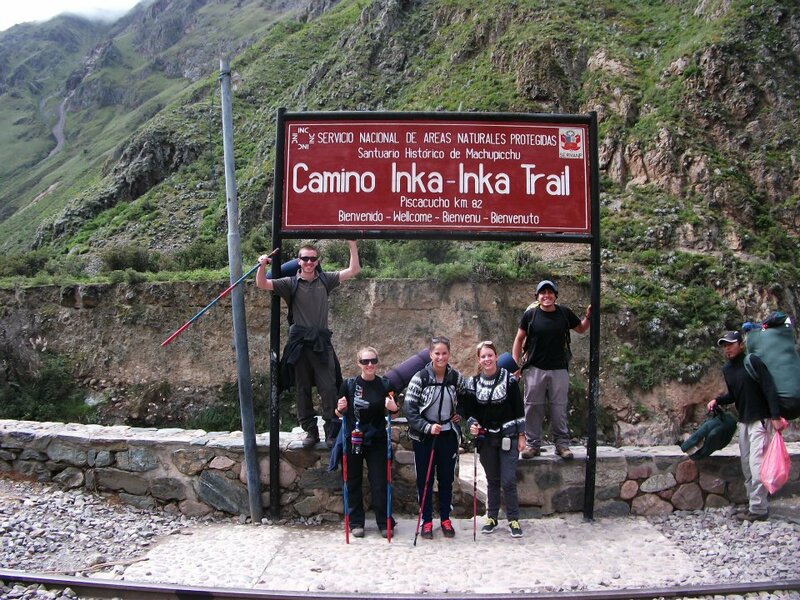 Ah, the Inca Trail. A four day hike over mountain passes, down winding stone stairways, through cloud forests, fields and unseen Inca ruins… this popular trek is usually fully booked months in advance, but I can assure you it’s no walk in the park. And thanks to an unexpected visit from our old friend the stomach bacteria, it turned out to be a tougher challenge than initially anticipated. Our group consisted of me, Jem, two Danish girls and our guide Jamille (from left to right). Groups can get much bigger, but 5 turned out to be the magic number and we all got to know each other pretty well during the trek. After Bolivia- which is now firmly cemented as one of my favourite places in the world- we crossed the border to Peru. And sadly, the majority of my time in Peru was spent with a bad case of the runs. This didn’t stop me doing most things, but it did stop me drinking, which is arguably the greatest crime ever achievable by a bacterial organism. At one point I mistakenly thought it had been conquered, proceeded to have a few beers to honour the occasion… big mistake: It returned so violently my intestines still quiver pitifully at the thought of it. But while I was staggering around in a dehydrated daze, clutching a ragged toilet roll like a junkie cradling his crack pipe, I did manage to achieve a few cool things. Even if they were a bit painful at the time. Note: Peru is not the best place for ‘the squits’, there is a distinct lack of toilets combined with a profusion of long and bumpy bus rides. 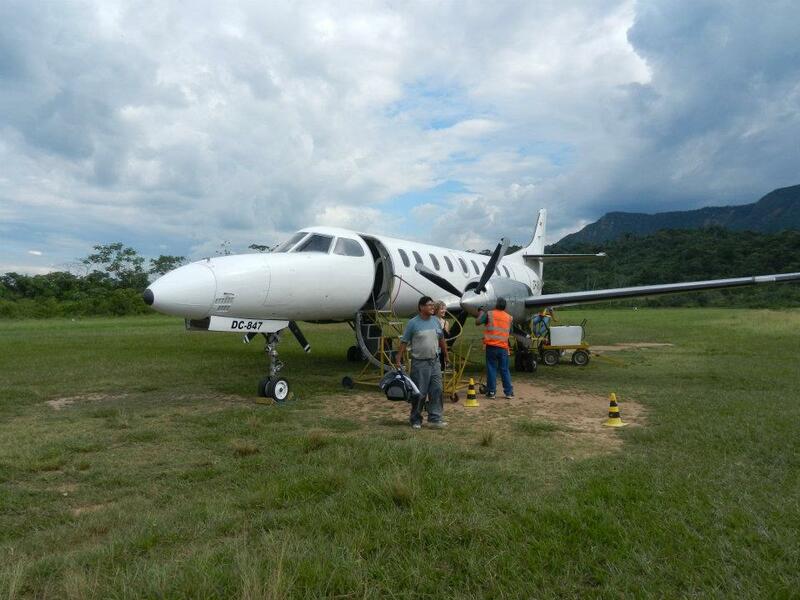 After spending three chilly weeks at high altitude, it was something of relief to land in the sweltering heat of the rainforest town of Rurrenabaque. The little 19 seater plane touched down at the smallest airport I have ever been to. Only the runway was tarmac, the plane had to taxi over grass and mud to reach the terminal building where pigs roamed freely. No such thing as airport security here. Click to follow this here blog and you'll receive emails about new posts and that kind of thing. The Final Post – Where Next?